believe a man 27 years older than you loves you. in your throat. do not breathe in after you swallow. counterfeit 96.4 weeks of orgasms. wait for a kiss. in the open cavity of your bathroom sink. you were worried I would go crazy. at the ruins (me) and do not die. what to call this: murder? of perfume on my neck. if you did not love me, then why? Tafisha Edwards is the author of THE BLOODLET, winner of Phantom Books’ 2016 Breitling Chapbook Prize. Her work is also featured in: Not Without Our Laughter: Poems of Humor, Sexuality, and Joy by the Black Ladies Brunch Collective, published by Mason Jar Press (available for pre-order here). You can find more of her work in The Offing, PHANTOM, Bodega Magazine, The Atlas Review, The Little Patuxent Review, and other print and online publications. She currently serves as the Assistant Poetry Editor for Gigantic Sequins, and is a graduate of the University of Maryland’s Jiminéz-Porter Writers’ House. 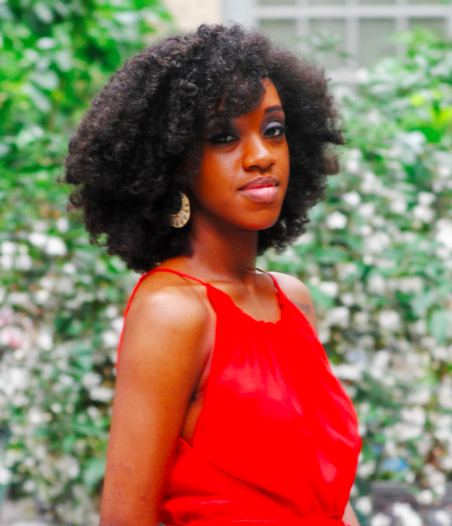 She is a Cave Canem Graduate fellow and a former educator with the American Poetry Museum. She has received a Zoland Poetry Fellowship from the Vermont Studio Center and in addition to scholarships to The Juniper Summer Writing Institute, The Minnesota Northwoods Writers’ Conference and other writing workshops and conferences. She is currently writing her first full length collection of poetry, RIOT / ACT.